There is no other destination quite like the Maldives. Private islands complemented by nature’s finest hues from sunrise to sunset, surrounded by powder white beaches, lush tropical greenery, and tranquil lagoons teeming with marine life. 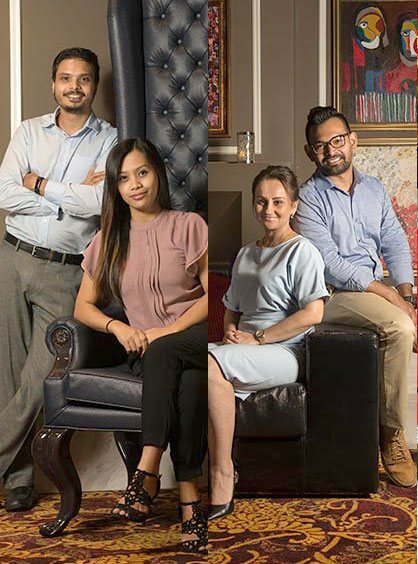 Choosing the ideal resort can be overwhelming so we have shortlisted the best below. Let our destination specialists assist in finding your perfect island holiday. the ultimate vacation. 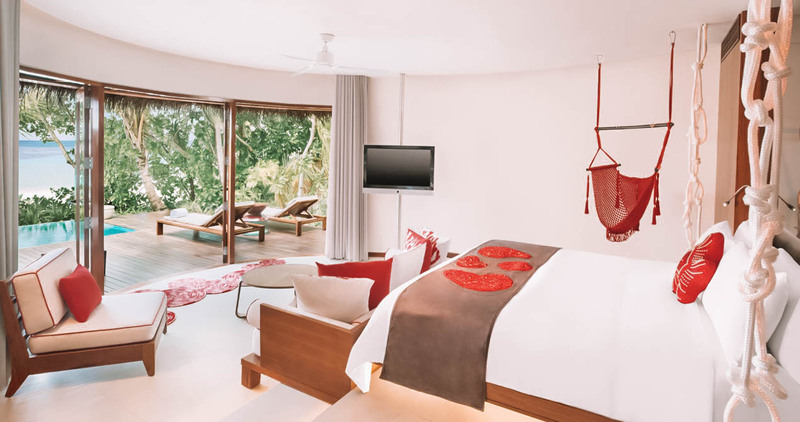 Set amidst luxurious gardens at Cheval Blanc Randheli, the villa has a spacious bedroom and a relaxation area with daybed. 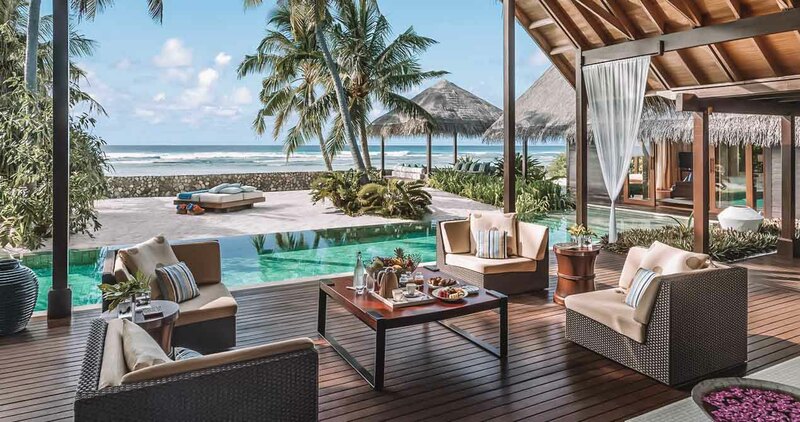 Inviting outdoor terraces allow for relaxation next to the 12.5-meter-long swimming pool or on the private white sand beach with direct access to our house reef. An outdoor dining pergola set in the villa’s lush private garden is the ideal place to enjoy a convivial meal specially prepared and cooked live by chefs. Spacious, stylish and thoughtfully designed, the jewel in the resort's crown, with two large, high-ceilinged bedrooms. 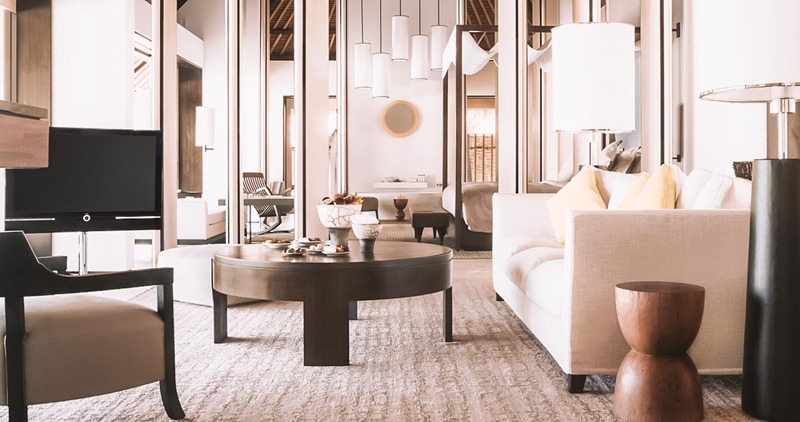 Carefully selected artworks on display throughout this exquisite villa at Shangri La's Villingili, together with high-end Asian artifacts, sculptures and urns from Indonesia, Sri Lanka and Thailand. A dreamlike space with your own vast private garden and pool surrounded by panoramic picture-perfect views of the ocean. 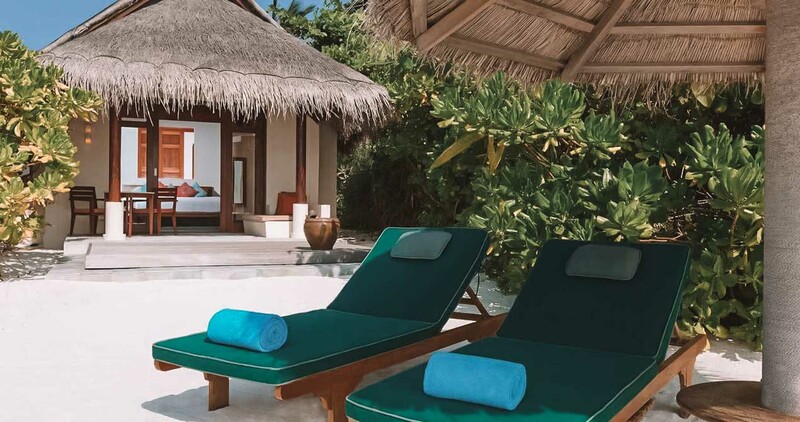 Top it off with exclusive beach access, personal butler service and the Maldives’ largest beds to complete your ideal stay. 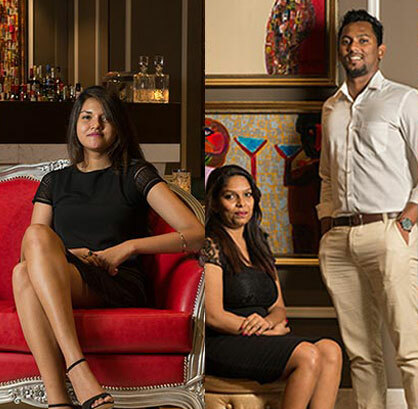 W Maldives is truly a charmed place where your cares will drift away. Thoughtfully positioned in a secluded and peaceful setting afford an even greater sense of privacy at Anantara Dhigu Resort & Spa. Celebrate the beginning of a magical Maldivian evening, watching a mesmerizing sunset tapestry unfold. Cherish this daily ritual while you relax on a lounger or sit comfortably at your dining table on your sun deck.